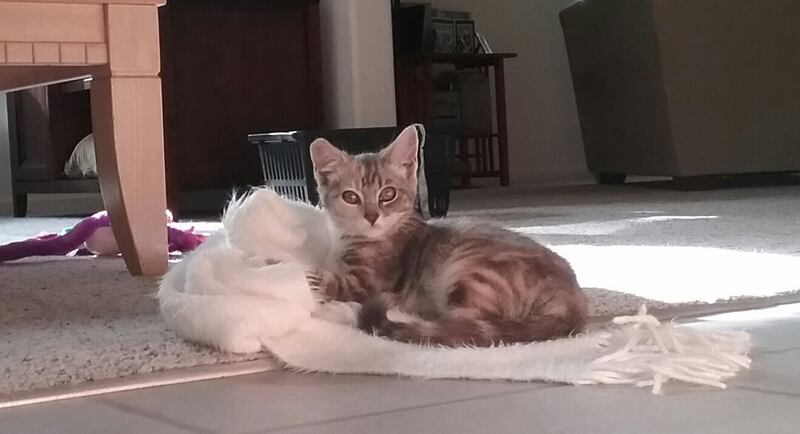 This is Trixie, who is about 2 1/2 months old and is a real sweetheart. She loves to play with her brothers and kitty toys, especially stuffed animals. She’s a little shy, because she came from a feral litter, but she’s becoming friendlier and will purr when you pet her. She just needs a little more one on one attention and tender loving care. She’s very loving with the other kittens and would probably like a home that has a calm older cat, or maybe other younger cats. She hasn’t been around dogs, and she’s only been around kids a little bit, so I’m not exactly sure what she thinks of them. She is spayed and has had her first round of shots, as well as testing for diseases. 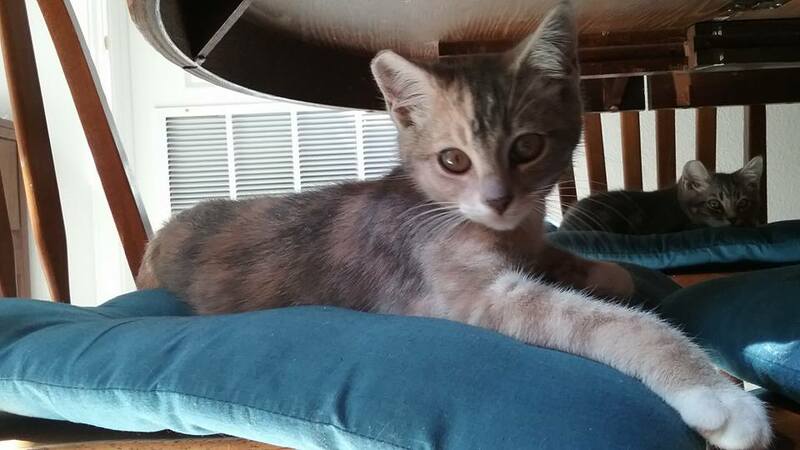 She’s a very clean, flea free, smart, and cute kitty – will you give her a furrever home? Contact Jennifer at djensmail@yahoo.com for more information!